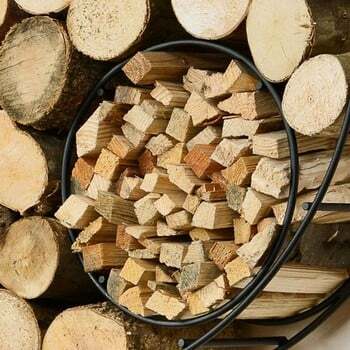 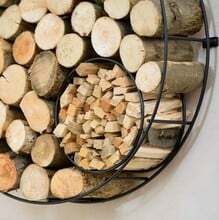 This stylish Circular Wire Log Holder makes a real feature of your firewood, wall mounted for a real eye-catching effect, this minimalist design log holder is an attractive and practical way to store logs for your fire or wood burner. 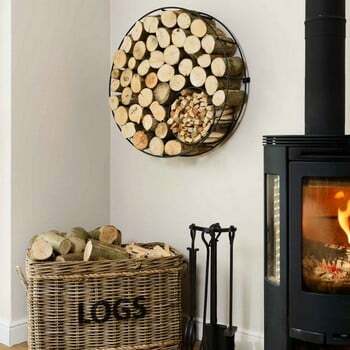 The Exclusive Wall Mounted Harrod Circular Wire Log Holder is designed and manufactured by us in the UK, using quality materials and comes with a 10 year structural guarantee. 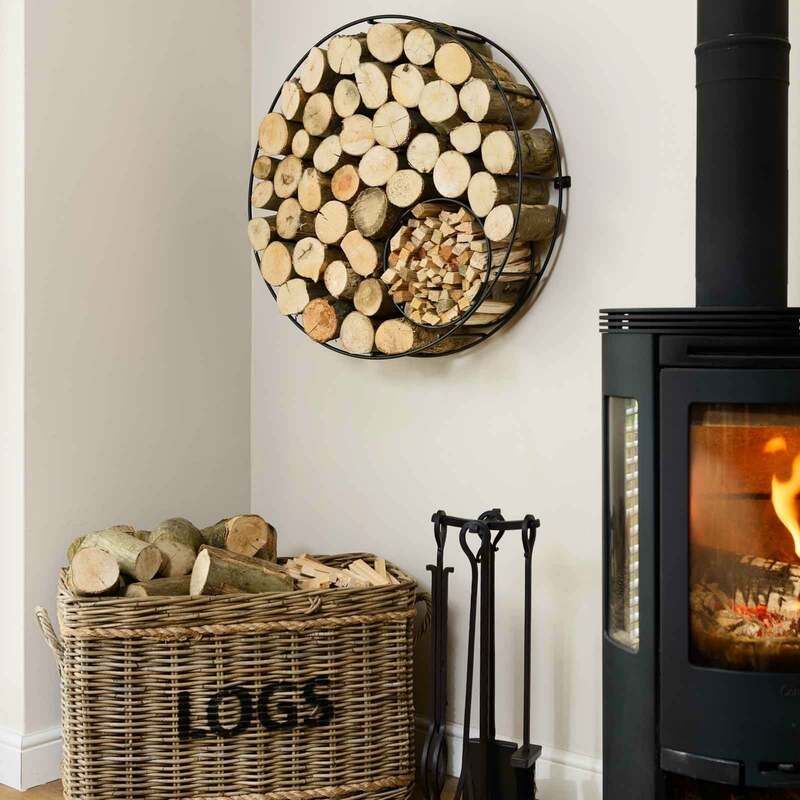 These stylish log holders are precision manufactured using strong 8mm solid steel rod and 6mm thick wall plates. 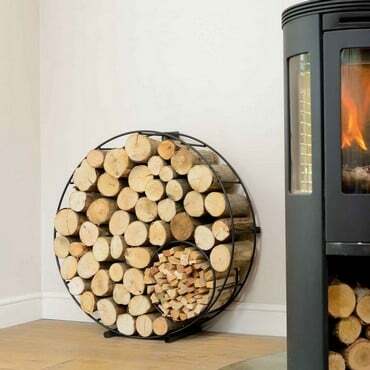 The steel rods are high temperature powder coated matt black for hardwearing protection for inside and outside use. 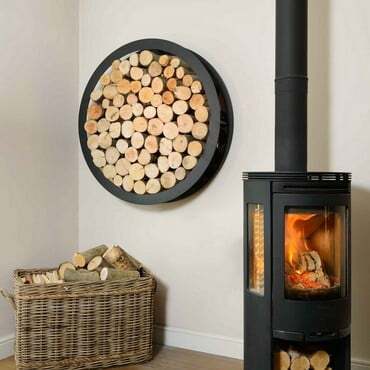 The holder is a fully welded one piece construction with no product assembly required. 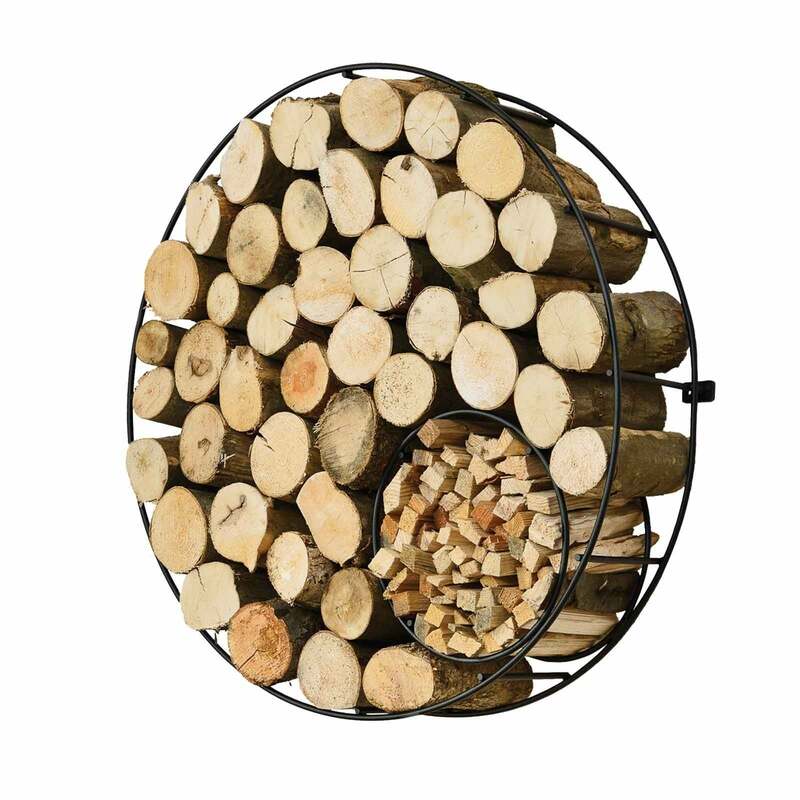 The circular wire log holder also includes a kindling holder which adds to the aesthetic appeal of the log holder and helps you keep all your firewood in one place. 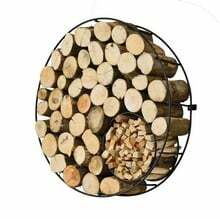 With 78cm internal diameter the wire log holder has plenty of room for your logs with the kindling holder measuring 30cm diameter. 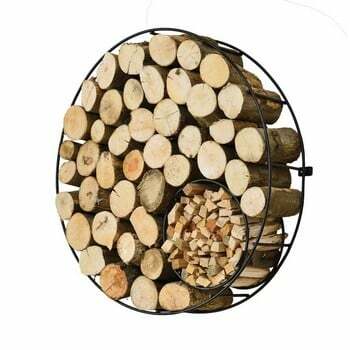 The wire log holder is supplied with all fixings for wall mounting - a Floor Standing Wire Log Holder is also available separately.